Let us just admit that a child’s life is totally incomplete without the presence of his grandparents. The eldest members of our houses are the ones who spread unconditional love all around us. From their endless advice, to their captivating stories, grandparents are unquestionably every child’s favorite. If you have ever lived with your grandparents, you will know how precious those times were when they were present in your life. You are honestly lucky if they are still present in your life. You know, there are a number of things that often make you nostalgic about the days you spent with them, and subtly reminds you of how much you love them. 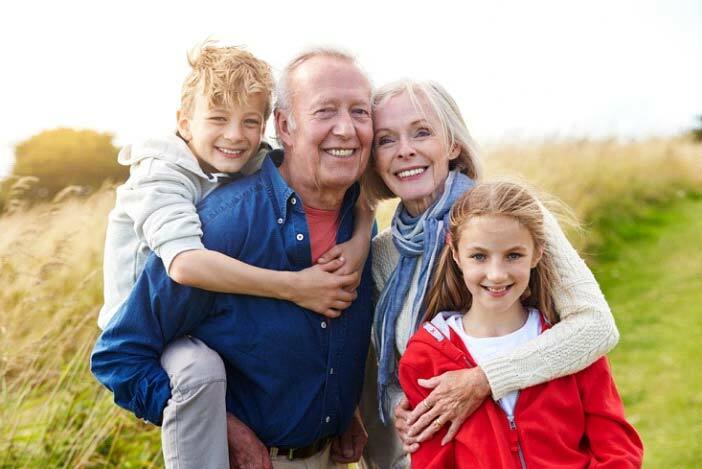 Grandparents will always remain an integral part of your lives. Let us have a look at the top 10 things that will undoubtedly remind you of the times when you used to live with your grandparents. You will miss your grandparents a lot more after reading this. Brace yourselves. You are about to dwell in nostalgia. So what if the age gap is huge, your grandparents always prove to be your best friends. They had the best advices lined up for you every time, and you could always go up to them with any kind of problems. They proved to be a great company as well. They would try their best to fit in into your games, or groups, so that they could entertain you in every way possible. Also, they participated with you to perform silly pranks on your parents and neighbors at times. They would act just our age sometimes. How you miss those days! Don’t you? Grandmothers seem to be born cooks. Every meal they prepared appeared to be magically tastier than any cuisine available in the world. How they loved to add their own home-made spices and wanted every ingredient to be as natural as possible. Also, they would make sure you never entered the kitchen lest you harm yourself. Oh, and they loved to over feed you until you were more than just stuffed! They would be frightened at the thought of you, leaving home without having your meals, and made sure you were always full. No points for guessing that grandparents are the best story tellers on planet Earth. They are a lot more experienced, and have faced fierce situations practically in their lifetime. Thus, they have or had a lot of inspiring stories to tell you. And how well did they explain your mistakes and faults by giving you real life examples? How did they even do it every single time? You could connect with them so well. All the fairy tales, real life incidents, you loved to hear just every story that they would tell you or read out to you. Listening to their narratives used to be your favorite time pass once upon a time! Remember the times you made a mistake and your parents found out? Or the innumerable cases when you simply got into a terrible argument with your father? Sometimes you outraged them so much, they could have beaten you to death, had your grandparents not come to your rescue, and stopped them! They were like your angels. And the best part would be, when they scolded your parents instead, for lashing out at you. Oh, how they made us realize your follies with so much love and understanding! Yes, they pampered you unnecessarily, but your grandparents always made sure that you learnt, how to differentiate between black and white. Your grandparents were always there for you. No matter how busy life got for you, you could always walk up to them, and they’d always be there to listen to you, and talk to you. They loved the endless chats, and so did you! First they loved your parents unconditionally, and then they loved you just the same. They never demanded anything in return. They just bestowed endless blessings on you, loved you unconditionally, cared for you, and made sure you were always protected, and were away from any harm. You will never find anyone as encouraging as your grandparents. They have or had this habit of flattering you beyond what you even deserve, at times. But you appreciate it anyway! They always believed in you when the rest of the world did not. They themselves had faced a lot of difficulties, failures and successes in their lives, and knew life is never going to be easy. Therefore, they always pushed you harder to take up new challenges, stick to them, and finally excel in them. They taught you how failure is nothing but just another step towards success. You learnt from them why you should never give up in life. They were your first and best teachers. The best part about living with your grandparents was that you never had to be alone. You always had good company. They were not the ones who would stick to their phones or laptops (unlike modern parents), and neglect you. They were always there with you in the present. In fact, they loved spending time with you. Apart from all their roles, grandparents, especially grand moms, also proved to be your doctors at home! They always had the best tips and tricks at their fingertips, and knew some mind blowing home remedies, to cure you of all your minor ailments and sicknesses. They simply hated the concept of prescribed medicines it seemed! Nevertheless, they were magical. Let us just thank our grand dads and moms for making our childhood so very special. If they are still present in your life, try and spend as much as time possible with them. They won’t live as long as you, but they deserve your love, time and care too. If they are no longer in your life, you must try and visit old age houses and interact and spend time with the old ones living there. Not only will they be happy with your presence, but your inner soul is bound to dance in glee too!